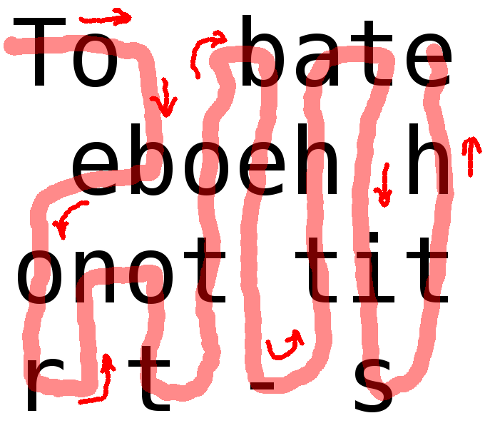 wężykiem-wężykiem is a text game. It is also a program for generating such games. You have a rectangular board filled with letters. Start with top left corner and walk through the board. You must visit each letter once and only once. Letters will make some text. You can download some boards here. Print them, take a pen and try to solve them. The code may be useful for other game programmers as well, because it generates random Hamilton paths on the rectangular board efficiently - it can generate the path on 100x100 board in several seconds. You can download and use this program under terms of any OSI approved open source license - – for instance GPL.